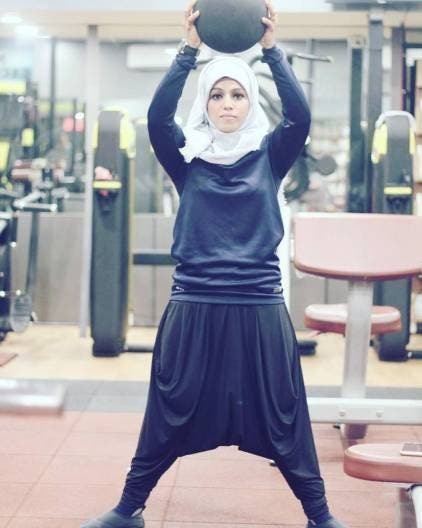 When 23-year-old Majiziya Bhanu took to the stage to compete in the women's segment of the Mr Kerala competition in Kochi earlier this year, all eyes were on her — never before had a bodybuilder wearing a hijab (Muslim head scarf) participated in the event. Proving that hijab is no hurdle for her or any other woman, she went on to win the competition. "In the initial days, men used to stare at me as I had my hijab on. But soon they realised that I was as serious as them in my workouts. Then all the eyes disappeared," Bhanu told IANS. "I never knew I could make it as funds was needed for the trip. I did knock on quite a few doors and finally managed — a few well-wishers have sponsored my trip. At times, when I went scouting for sponsors, I felt that some did not wish to sponsor me as I was a Muslim woman," said Bhanu. "Once I finish it, then I will pursue my dream of setting up an academy which will be a multi-disciplinary one, including martial arts, powerlifting, arm-wrestling and bodybuilding. It would give special importance to girls. I am sure I will be able to pursue my passion and wish to empower women," Bhanu added with confidence.